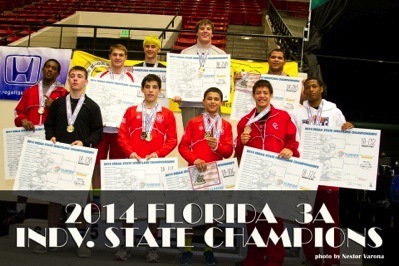 James Flint - Another top multiple state champion is senior James Flint of Brandon, who is 28-0 at 126 pounds. 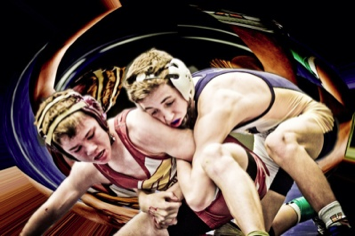 After winning state titles in 2010, 2011 and 2012, he was runner-up last year at 120 pounds. As such, he’s a five-time finalist and is going for his fourth state title. 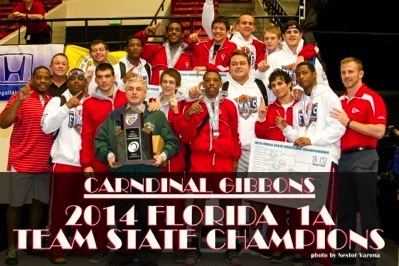 According to longtime Florida wrestling expert and Wrestling USA Magazine 2013 Master-of-Wrestling Award recipient Stuart Mahler, there will be several outstanding wrestlers hoping to repeat as state champions. 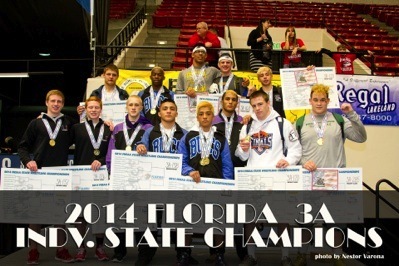 “I feel that the best wrestler going for his fourth state title is Fox Baldwin of Kissimmee Osceola,” Mahler began. “At 160 pounds, he is currently 43-0 and is the national record-holder for both career victories (330) and career falls (251).” He broke his older brother and three-time state champion Pete’s record. After finishing as Class 1A state runner-up at 106 pounds in 2010, he won state titles the next three years at 119, 138 and 152 pounds. 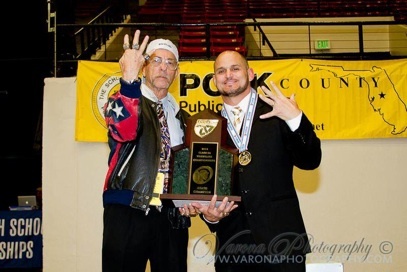 Brevin Balmeceda - 9x State Champions South Dade Coach Balmeceda's son, 13 year old, 7th grader. State semi-finalist from Keys Gate High School vs. Connor Kirk. Head Coach Jim Bird has been coaching/teaching at Osceola High School since 1988. In addition to being the head wrestling coach, Coach Bird is also the Athletic Director, and also a member of the coaching staff for the Kowboys 1998 State Championship Football Team. Jim is a 1987 graduate of Glenville State College where he played defensive back on the football team. In high school, he was a 3-sport standout at Spencer (WV) High School in Football, Wrestling and Baseball. He was a 2x WV State Finalist in wrestling. 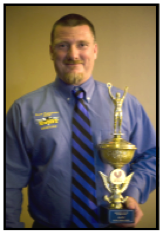 Coach Bird was inducted into the National Wrestling Hall of Fame-Florida Chapter in 2010, was the 2009 FACA/Florida Dairy Farmers 3A Wrestling Coach of the Year, a 6x OBC Coach of the Year, and the OBC Overall Coach of the Year. Jim is married to wife, Olga, and has three sons: Angel, Javier and Gabriel. He also has one granddaughter, Layla Alison Maldonado.